The online streaming and the video-on-demand platform Netflix has announced 17 new web series in a bid to expand their Asian market. Out of 17 originals, 9 are from India which includes Baahubali: Before the Beginning prequel of director SS Rajamouli’s Baahubali. The prequel will star Mrunal Thakur plays the lead, Sivagami, played by Ramya Krishnan, Rahul Bose as Skandadasa, Atul Kulkarni, Vaquar Shaikh, Jameel Khan, Siddharth Arora and Anup Soni. Last month, filming for the series began and three sets were erected at locations where the two Baahubali films were filmed. The season one of the prequel series comprises of nine episodes and is based on Anand Neelakantan’s book, The Rise of Sivagami. This (prequel) series captures Queen Sivagami’s journey from a rebellious and vengeful girl to a wise and unequaled queen. The series will be set 50 years before the events of the first film and seventy-five years before the second. The series will be directed by Deva Katta and Praveen Sataru together and it is bankrolled by the Baahubali franchise makers Arka Media Works. The series is expected to be released in 2019. Recently, the second franchise of Baahubali series was released with huge expectations in Chinese theatres on May 4. Though the movie had a positive response on its opening day, the same was not received well on the following days. The movie had a massive drop on May 7. The film was released across 18,000 screens and it became the third highest opener in China for Indian films. Baahubali series directed by SS Rajamouli, Baahubali starred Prabhas in the titular role with Anushka and Tammannah playing the female leads. The star cast is impressive with Sudeep, Nasser, Rana Daggubati, Ramya Krishnan, Sathyaraj in pivotal roles. 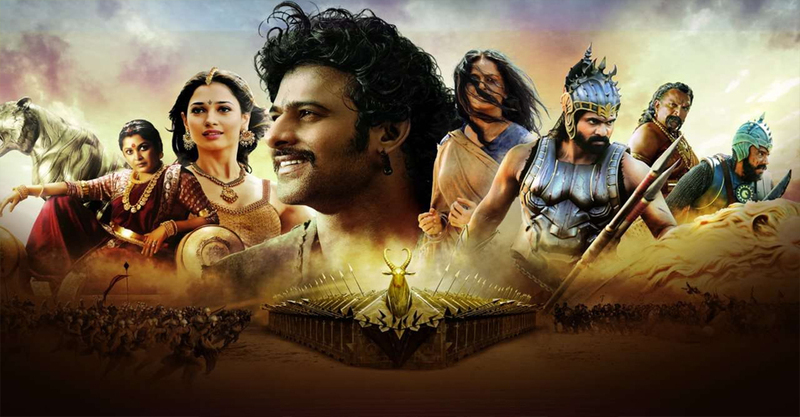 Produced by Shobu Yarlagadda and Prasad Devineni under the banner Arka Media Works, Baahubali was made on a budget of Rs 250 crore. The film was released in various languages including Tamil, Telugu, Hindi, and Malayalam.